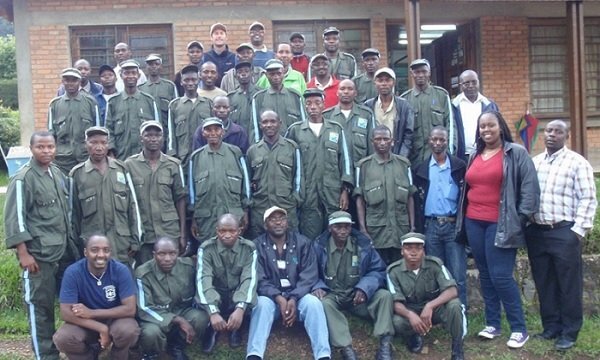 To preserve the biodiversity, functional integrity and resilience of Rwanda’s important landscapes while addressing local livelihood needs and sustainability issues at the local and national level we are focused on several areas of conservation intervention. These include: 1) Research and monitoring to identify and understand ecological requirements of landscape species and their main threats; 2) Transboundary collaboration to address conservation needs and management at the landscape level; 3) Addressing challenges surrounding natural resource use in a high population density and impoverished area through innovative projects and techniques; and 4) Education and outreach to foster the next generation of Rwanda’s conservation leaders. We work closely with our local and international partners to carry out these activities and provide quality information and technical advice to local authorities and institutions. In doing so, we are able to implement conservation practices to protect this region’s unique and rich biodiversity.